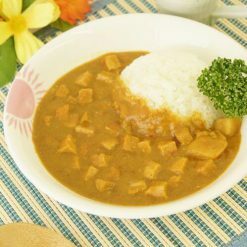 Meatless ham-style soy meat prepared with our secret process using soybean protein. 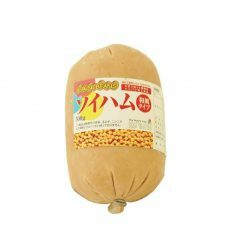 All-purpose meatless Japanese Style Soy Ham prepared entirely from soybean protein. 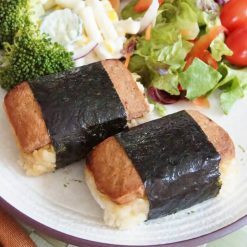 A meatless ham-style soy meat made entirely from soy protein. An all- purpose vegetarian meat substitute that is easy to prepare. It is extremely high in protein, soy isoflavone, and soy lecithin which is good for your skin and health. Its uses are many and varied, so it can be used as a substitute for pork, chicken, or even fish depending on how you cut and prepare it. 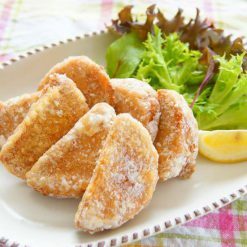 Its plain flavor ensures that it can be used with many different dishes. 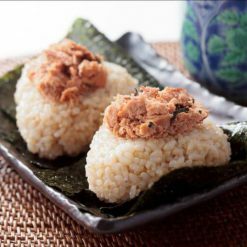 Aside from milk and honey, there are no animal products, additives, onions, or garlic used in the preparation of Japanese Style Soy Ham.